This is my No. 7 Value Pick for 2017. Following the superb performance of Scope Industries Bhd, which moved from 16 sens to 27 sens in 1 month (68% gain since released of article), there were many request by my readers to focus my writing on more small cap stocks. Let me clarify beforehand, this is not adhering to the request but rather I came across this counter after a friend highlighted the strong growth since their IPO 2 years back. Once again, we will give an upfront warning, as this is a small cap stock, this stock has higher risk compared to our other value picks. So for those who have low risk tolerance, you can skip this. Kronologi Asia Bhd, is in the business of Data Storage and Recovery Solutions & Technology. In layman terms, Krono provide Data Backup, Consultation, Server Maintenance, Recovery services to companies. Think of them as your office work data archiver / gatekeeper. The company consist of a team of IT professionals with substantial experience in their respective fields. From how I look at it, the team running the company is very professional. Just to name a few, the Executive Director / CEO /CTO, Mr Teo has over 20 years of experience in storage solutions, software programming and network architecture. Executive Director / Director of Operations, Mr Tan brings with him a wealth of IT experiences having worked for a HK listed IT firm and US based 3Com, both in their Singapore operations. He was also one of the pioneers of a successful regional IT System Integration company, Sandz Solutions. In short, the management of Krono knows what they are doing. 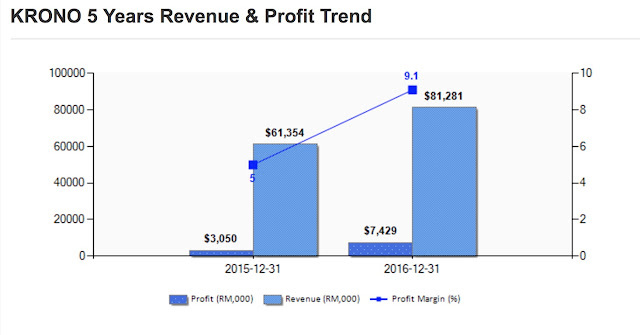 As Krono is a relatively new company, looking at the 2 years profit trend, Krono has shown steady increase both top and bottomline from RM61 to RM81 million in revenue and RM3 to RM7.4 million in net profit. Profit margin almost doubled from 5% to 9.1%. All indicators point towards continuous growth. However, it is imperative to understand the reason behind the growth. Back in August 2016, Krono acquired the remaining 80% stake in Quantum Storage (India) Pte Ltd for RM26mil. This is one of the key reason for the growth of Krono. With a new subsidiary and board members / management level, Krono has been improving. The key sector for Krono is to tap on the burgeoning data storage and management business in Asia. It is reported that Krono is a long-term partner of US-based Quantum Corp which in turn is a global player in data protection and data management – promoting Quantum products, solutions and branding in South Asia. Krono acquisition of Quantum Storage for RM26mil, was satisfied by new shares and RM15.2mil in cash on a staggered payment basis. The acquisition was to capitalise on big data, and India's growth in the sector of data storage. Ex: 4K ultra HD technology, Satellite imagery, CCTV etc. The pivot towards Digital cities, Smart Cities and to boost IT usage in businesses and organisations will help the company grow in the long term. This acquisition comes with a profit after tax guarantee of US$1mil (RM4mil) each year of financial years 2016 and 2017. The RM15.2mil cash portion of the acquisition is being funded from RM6mil of IPO proceeds and a further RM9.2mil from internally generated cash. The company has RM8.7mil in cash as at Dec 31, 2016 with a reducing debt position. Additionally, Krono's balance sheet is relatively strong compared to many other tech stocks out there. 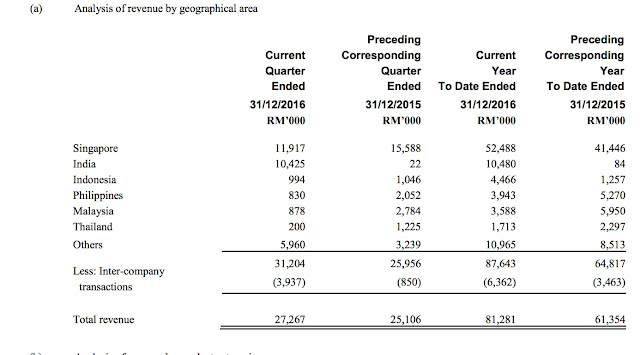 It is a net cash company despite having gone through an acquisition. We like Krono for many reason. Firstly, it has a change in management / board members which turned the business around. 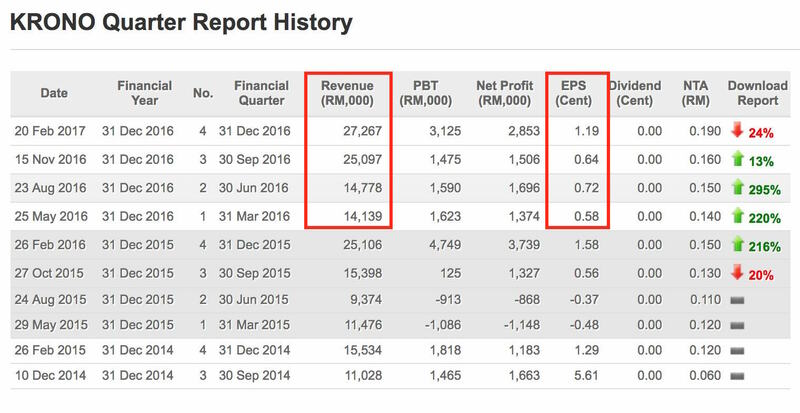 Secondly, it is in a tech sector of growth which is easy to understand and shows actual revenue and profit growth. Thirdly, the company have a good mix of revenue from various geographical location which shows demand in various countries outside of the home country. Hence, we believe the future prospect is intact. We are cautiously optimistic for it to maintain its profitability in the coming QR. 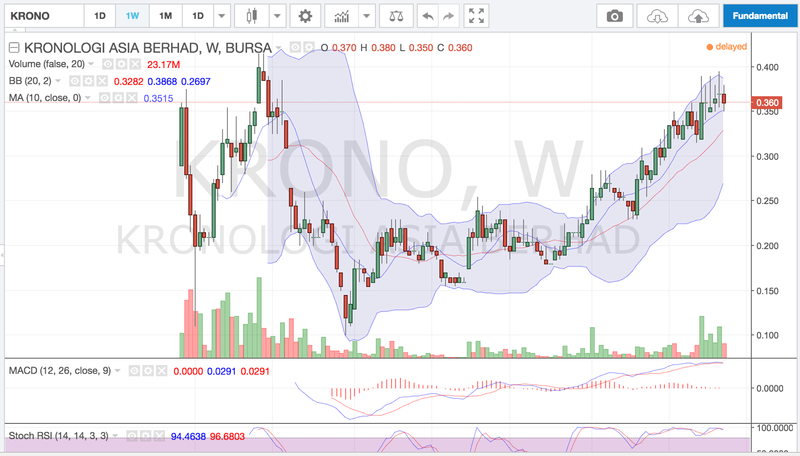 If Krono successfully pull it off, there may be a rerating to the stock. The 2017 prospects by Krono looks promising as well. 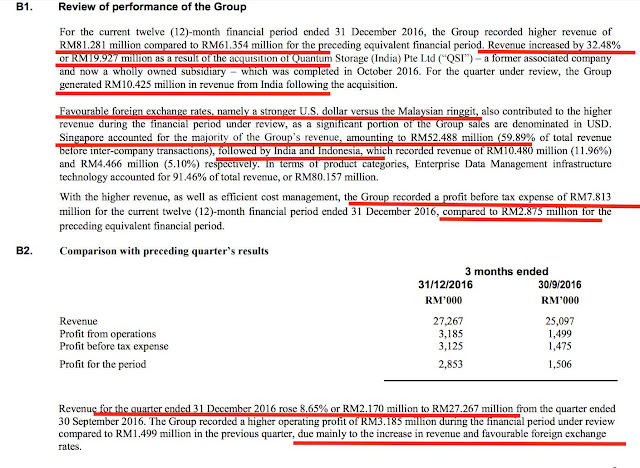 Given the management confidence of being able to deliver a positive performance to FY 2017, I think it is worthwhile to consider investing in the company for the long term basis. With the latest QR, it is now trading at a narrow band. Since middle of 2015, Krono has fallen from 40+ sens to a low of 10 sens before rebounding to recent high of 39.5 sens. 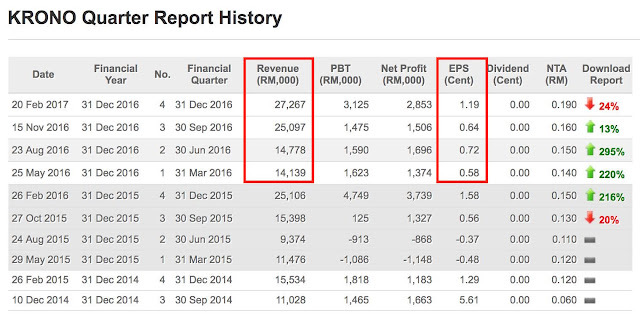 If Krono can maintain their growth, there is no reason it cannot challenge it's historical high. Currently at 35 sens, it is trading at a multiple of 13x. It's NTA stands at 19 sens with ROE of 14.5% for the past years. We believe in the long term growth trajectory of Krono and estimate the coming Q with EPS between 0.7 to 1 sen. Should that happens, the full year EPS will be around 3 sen and applying a multiple of 15x (factor in the net cash position and tech sector), there is a possibility that Krono can move towards 45 sens. For now, this will be the initial TP pending observations of coming quarter results. 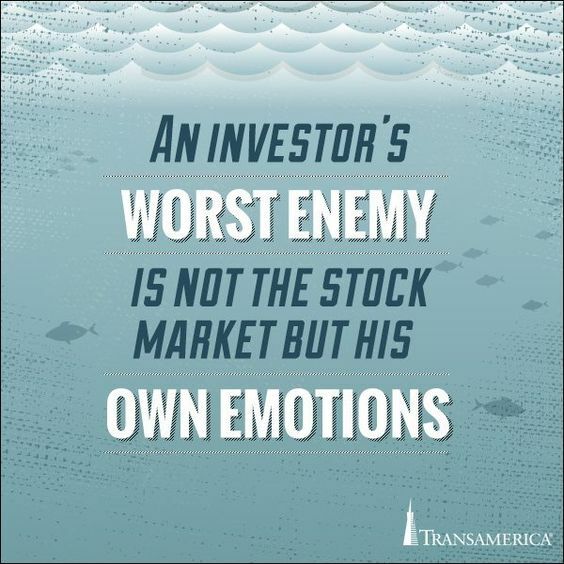 *Please note this is a penny stock with erratic earnings. Hence the risk is higher. For those who do not have such appetite, feel free to skip.